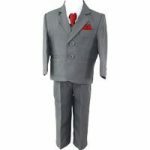 Our boys outfits – quality suits and tuxedos – are ideal for any formal occasion, be it a wedding suit or for First Holy Communion – where your boy needs to look absolutely dapper. 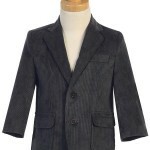 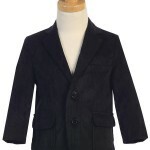 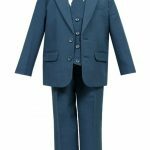 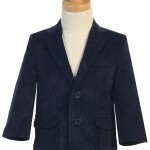 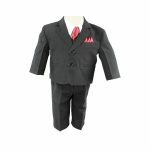 Great boys suits, baby boys suits and boys tuxedo styles in popular colours and all sizes. 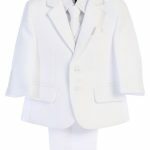 First Holy Communion suits for boys that will make him the star of the party. 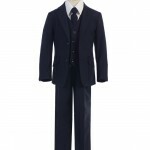 Browse our suit collection online or, if you’re in the Toronto area, call to check our in-store availability. 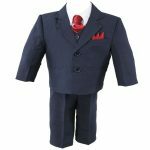 You can trust in the quality of our suits and smile at how affordable they are!